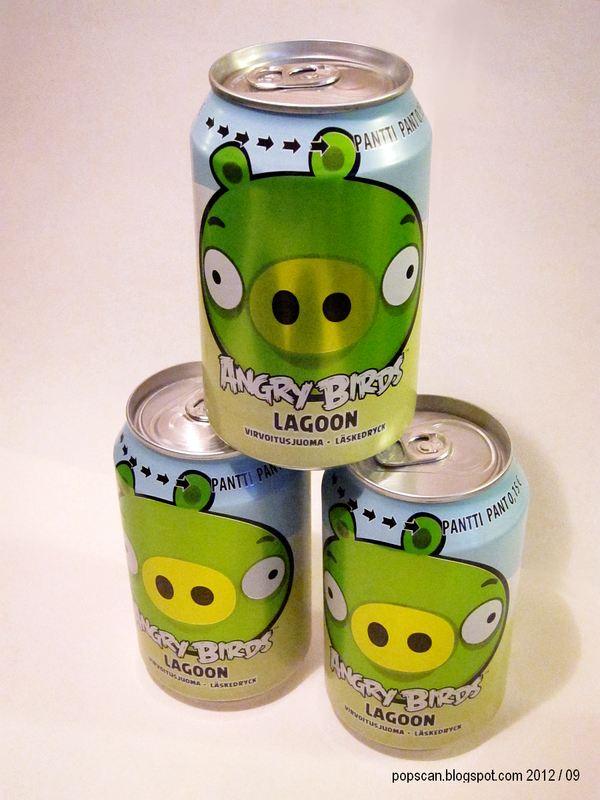 These have just arrived! 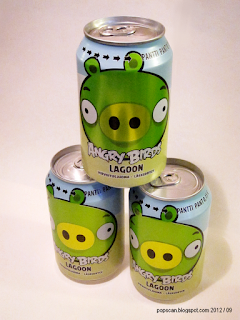 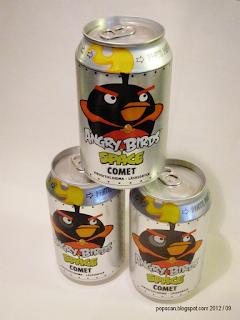 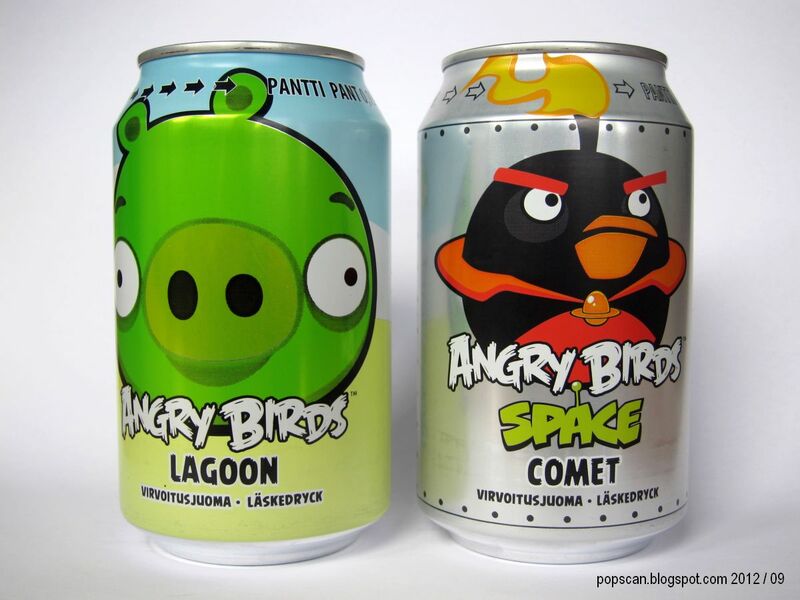 New Angry Birds soda cans with Bad Pig and Black Bird. Lagoon (Bad Pig) has apple and pear flavor and Comet (Black Bird) has orange and cola flavor. The manufacturer is Finnish company Olvi; check out the official pages at http://www.olvi.fi/web/en/267. 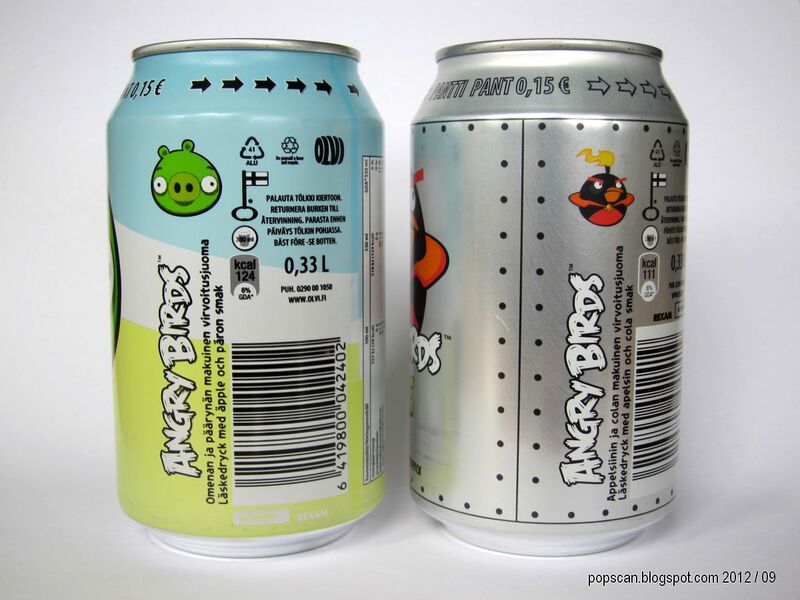 The price for the can is 1,29 e, at our local stores, in Finland.